As I said, it removes all features from a doll, as well as all body features. Very good for long periods of play, because they are exceptionally comfortable. Can be worn with other outfits over, breastforms or other required bulges/corsetry under. Quite easy to take care of, can be worn for a full day, needs to be washed gently by hand, and hung out to dry. For a new owner, still getting used to this idea that this person shaped thing in their room is an object, it's perfect for reducing that level of humanity. For a new doll, it means that if they haven't mastered not wincing, or eye contact rules, she can still please her owner, as they learns these. These can usually be found over ebay, though for larger sizes it's worth contacting the seller to ask about it first. Use very plain english, because almost all of the sellers are in china. This also leads to extortionate postage. It's worth ordering a few at once, either to have a variation for your doll, a uniform for your harem, or just as an order split among a few of you. Now, this is what most people see fetish as. tightly tailored sheets of dried spurge excretia. mmmm, Rubber, or more commonly latex can be moulded and stitched into a universe of different styles and shapes. 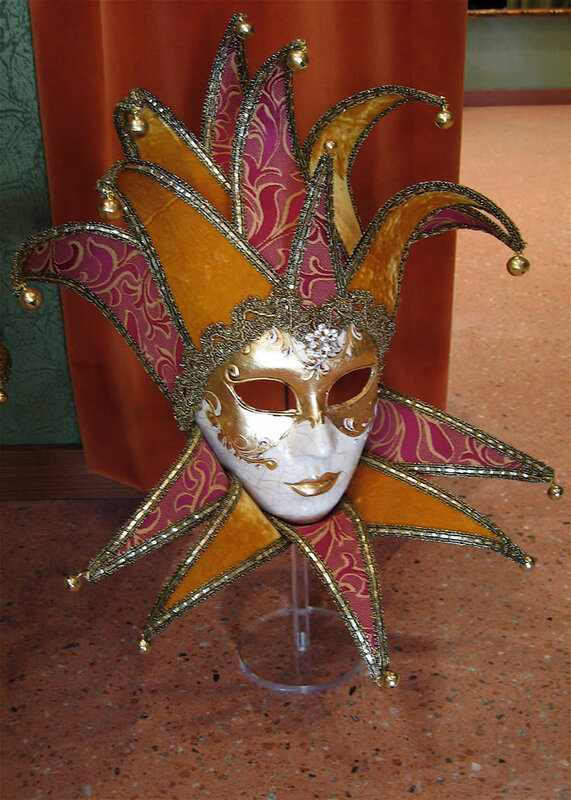 Masks and hoods, like zentai, can be blank featureless things, or cut and sewn to reveal eyes, mouth, or whole face. Rubber forms a much tighter seal to the skin, and those things applied directly to the rubber are transferred easily to the skin (for example heat and cold). Depending on the quality of the clothing, it can tear easily, and due to the nature of rubber, it is not as transferrable as Zentai suits. for example, if one doll falls from warranty, you can't simply use it's skin on a new doll, unless you get one of approximately the same build. On the plus side, they look fabulous, and when properly pollished, give your doll a finish pygmalion himself would be proud of. Last edited by Rubberwitch on Thu Jan 17, 2008 7:54 am, edited 2 times in total. I love it, how much do they run for usually? 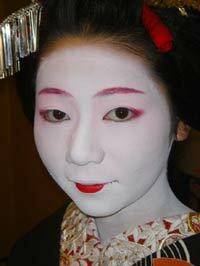 The most striking aspect of geisha makeup is the smooth, almost porcelain finish of the whitened face. It is achieved by first applying a base wax, called bintsuke-abura, before layering over a paste made of chalkdust and rice flour (Oshiroi) mixed with water, and finally, once excess moisture has been sponged away, a dusting of the same powder to seal it all. and creating a mask, again highlighting the doll as different, and object, but allowing natural reactions, smiles, tears etc to show through. There is something so exceptionally arousing for me seeing the trails of tears and messy black make-up against geisha white. The Oshiro can also be lightly applied to any other bare skin, lightening it, and matching it closer to the porcelain like face. It takes a very long time to apply, and just as long to remove, but is exceptionally durable, if properly put on. The ritual of the act is both entrancing to watch, or perform, as an owner, and for the doll it provides a period in which to settle herself to her duties, physically see herself transmute into an object. This is definately an idea for more advanced dolls, and it will be a case of practicing until you get that look just right. On the plus side, two or three dolls can be made up at the same time, using the same outlay, for a wonderfully devestating effect. A similar image to the geisha, sort of.. erm.. no. Greasepaint and bodypaint it a really thick layer which holds pigment against your skin. It's quite difficult to get a smooth finish, and tends to smudge like crazy. I include it here for a few of it's good points. 1) white greasepaint is dirt cheap, and easily available. Look in £/$ stores (though you may want to transfer it out of any tin with a clown on the front. 2)the thicker stuff that comes in tubes, once it dries completely, cracks with the changes in face shape. Sometimes, this is the desired effect, especially if your thing is "broken dolls", other times, it's an interesting form of.. well I guess emotional chastity. Can a doll keep a straight face, or set expression, and maintain her soft visage. 3) The finish, unlike the matte look of geisha makeup, can be very shiny, and, yes, plastic looking. An addition of some cheap shimmery face powder can leave your doll looking most manufactured in her appearance. To get the best effect, first cleanse the dolls face, removing any dirt or natural oils, pat dry, and apply a thick layer of white-up, starting with the nose, and working out towards the edge. Now, either that's going to be a mask like whide face shape, which can be further accentuated with a black or silver keyline, or, you're working to the entire face, which is probably to the hairline, jawline, and blended into the ears and neck. due to the greasy nature of the stuff, it's not really a good idea to leave it on for long periods, unless you really really have a pimple fetish. wipe as much as you can off with paper towels, then wash with soap, then use a cleanser, then use water, then dry with a soft towel. remember, looking after your doll is an important task. These masks give a more "doll" look that is very costumed and allows the eyes to sink back a bit and give it a more inhuman look. but yes, these are very nice. That first one you posted Guevashin is also good for any male dolls that their owner might want to look more femine. indeed- i never said it wasnt. I actually said it wasnt just used for one purpose. Looking forward to that with interest. I use Ben Nye white greasepaint for work (as a living statue) and it's never cracked at all, also, as long as I'm not using it for several days in a row, I've had no skin problems related to it. I tend to wear it for 4 or 5 hour periods, no problem. On my face, neck, hands, arms, etc... when it's on your hands, you do tend to leave white marks on whatever you touch, which is why I use gloves more these days. Much easier. It is tricky to get smooth though, and using a white powder or some kind of shimmer powder over it really helps. It looks better at a distance (a couple of feet) than it does up close (a couple of inches) and photographs very well. I'm curious to learn more about geisha makeup, which may have a "smoother" finish on the skin. Location: Here befor you, holding back nothing. I've had some experiance with a number of different tools for enhancing or rebuilding/sculpting the visage of a doll. From theatrical paints and colorings to f/x prosthetic aplication to liquid latex it's self. "Ebon's Lab of Living Rubber" is coined after the fact that I used to help people with their transformations and the place now lives as an online roll play chat room geared around transformations of the dolly sort and has been going well for about 12 years now. I'll not be mentioning more about that place here though as I will be concentrating on things for this site while here. I do love reading about other's experiances with such things. I will give Mine advice if asked for but I feel realy strongly about hands on instruction and experiance versus someone miles and miles away trying to help some one with work they can't see. Understand that I am only speaking for Mine self and if wished for and asked specificaly, I am always happy to help. Beautiful things can happen when people are allowed to discover things by them selves.. a little guidence so they don't fall off the edge, so to speak, but when given the freedom to explore for themselves they become able to see things clearly in a way that is sacred or meaningful to them and not simply see what some one else has already discovered from the other's point of view. What is created or found then has meaning from the very beginning. Are there any skins with the cut of the BSE, but don't require water and a 24 hour waiting period? The water solution isn't that big of a deal, but the 24 hour wait before you can use it again is something I can't really do. I know about the USG, but I really don't like the cut of that one. I'd rather have one that has holes cut for the button, mic, and ear piece like the BSE does for a more seamless look rather than what the USG has.